The PoE or Power over Ethernet depicts any of the few standard or the ad-hoc systems that pass electric power alongside the information on the twisted pair cabling utilized for Ethernet. This enables the solitary cable to give the two information connection and the electric power to the gadgets, for example, IP cameras, VoIP phones, and wireless access points. Therefore, the Power over Ethernet (PoE) Chipsets Market is anticipated to expand and has tremendous scope during the forecast period. The global Power over Ethernet (PoE) Chipsets Market anticipated to flourish in the future by growing at a significantly higher CAGR. By Type the market is segmented into PoE Powered Devices (PD) Chipset and PoE Power Sourcing Equipment (PSE) Chipset. The PoE Powered Devices (PD) Chipset section is leading the market with more than half f the market share and will hold the position in the foreseen period. By Standard the market is segmented into802.3bt standard, 802.3at standard and 802.3af standard. The 802.3af standard section is leading the market increasing utilization of this technology for the applications in security.  By Application the market is segmented into Security, Connectivity, LED Lighting, Infotainment and Other Applications. The LED Lighting section is leading the market increasing utilization of these lights and increasing incorporation with the PoE technology. By End User the market is segmented into Residential, Commercial and Industrial. The Commercial section is leading the market owing to increasing utilization of this technology in the hotels, hospitals & the offices. The North American region is leading the global Power over Ethernet (PoE) Chipsets Market with nearly half of the market share owing to increasing utilization of the high speed internet, more technological growth and some other factors.